celebrating Valentines day and 2 wonderful years of dating! Hard to believe that it has been two years, man does time fly. He has planned a wonderful weekend for us including some of my favorite things exploring, cooking (yes the pinterest challenge) and shopping! He knows how to make me a happy girl! Now lets take a little look at the challenge recipes for the week, starting with this one! Baked potatoes are a go to dinner for me. Healthy and quick. I loved the black bean, corn and salsa topping for these potatoes, it was spicy and full of flavor. I added a bit of cumin, garlic and paprika to the mixture and was happy with the results! I want to try the topping on sweet potatoes, I think it would be a delicious combination. Next up Sweet and Spicy Chicken. This chicken had a kick to it, and was fantastic. My dad couldn't stop saying how much he loved this dish. Steamed broccoli and rice made this a well rounded dinner! I want to try making more of the sauce and stir frying vegetables in with the chicken, I bet that would be tasty! This soup had a great flavor and was delicious the night it was made, but I didn't think it reheated that well. I am still on the fence about this recipe. Ps have a sweet tooth? Try this recipe! 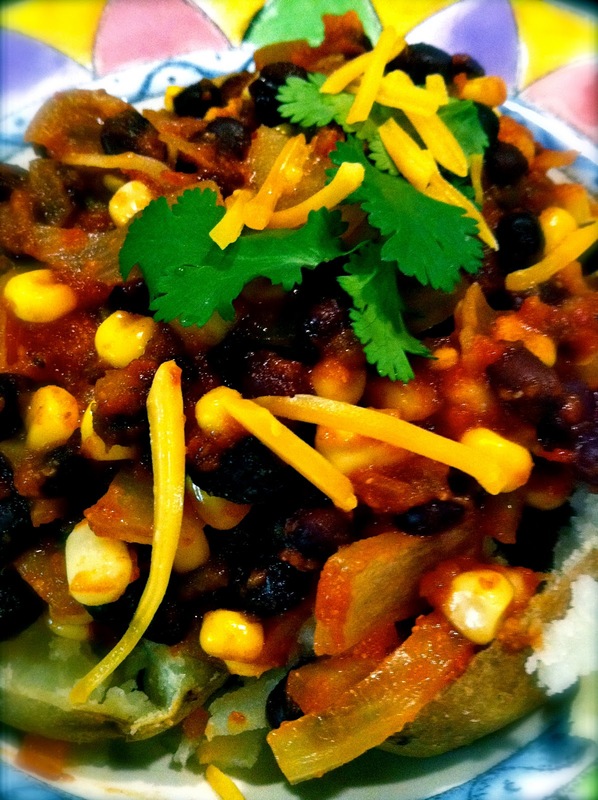 MMM...I'm bookmarking those black bean and corn topped potatoes!! And how fun will your valentines be! Excited for you!! all those dishes look amazing! 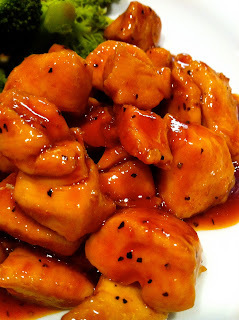 i so want to make the sweet and spicy chicken! Congrats on two years pretty lady! I know you guys are gonna have such a fun weekend together :) And I can't wait to hear about the rest of these recipes!!! That's an adorable picture of you and your beau!! & I can't wait to see how the spicy chicken turns out!! Hey I love the philosophy of your blog - health is very important to me too. And your post has made me want baked potatoes for dinner! Visiting from #FF and Im a new follower! That sweet and spicy chicken is looking good as hell. YUM! I can't wait to eat wings on Super Bowl Sunday, I hope. Thanks for the strawberry banana ice cream link, fabulous! Have a great weekend.. YOu and your man look so cute together. Sounds like SUCH a lovely weekend! have the best time :) and enjoy this weekend in the meantime! hope you have a great weekend :) your recipes look great as always! All this food is making me hungry. It looks delicious. I really love your blog and am a new follower! Stumbled over from Sundresses & Smiles. Have a great weekend!! This all looks soooo wonderful! I think I'm going to try the baked potato recipe soon- so glad you enjoyed it! What a fun weekend you have to look forward to!! love the white bean chowder! looks delish! Congrats on your anniversary! And that chicken looks so mouthwatering!